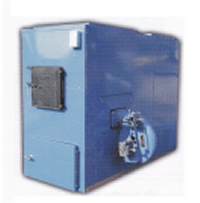 The efm coal stoker furnace has been updated and upgraded. In addition to the durability of the heavy gauge heat exchanger and the rugged cast iron efm stoker mechanism several important changes have been made. 1. More complete installation instructions for dealer/installers. Even first time installers will find the installation simple and easy. Any problems, call our efm tech service line. 2. A new electronic efm Stoker Timer with Relay. The timer prevents outfires when there is a long period between calls for heat. The electronic timer is easy to set and adjust. No guessing or waiting to verify the settings. 3. Factory supplied wire harnesses for blower and stoker motor that are ready for installation. 4. All electrical components are recognized components by safety agencies.